Halloween is in just a few days and let me tell you, I'm so excited. 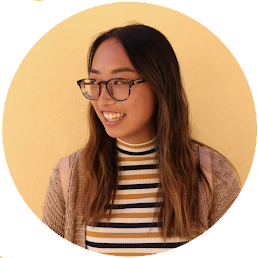 Halloween is such a fun time, since it's a time for you to bring out your inner kid. I've been getting into the Halloween spirit by not only putting together a costume for myself (and my dog) but also by putting up decorations to get excited about the holiday. Since I'm hosting a mini-Halloween party, I've been really into decorating this year, so I thought that I would show off these decorations. Instead of scattering decorations around the house, I decided to put all of the decorations together so that there would be a larger "Halloween" effect, so that all the decorations together would make for a larger effect than just a few things. 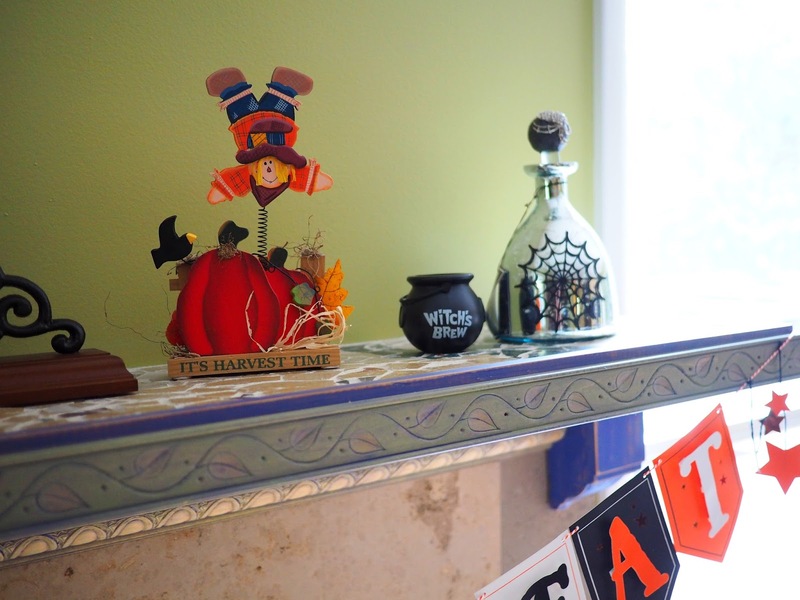 I decided to gather most of my decorations on the mantle of my fireplace. I put a few things on the mantle that were either fall-related or Halloween themed and then placed the bunting across the bottom. 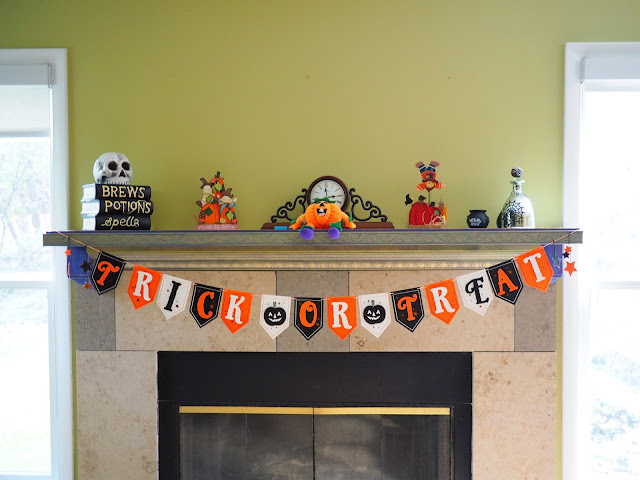 I got the trick or treat bunting from Target, they have a ton of really nice Halloween decorations and a variety of buntings that you can choose from. I picked this one because it's simple, but it has some really nice colors and design. It was also the perfect width for my mantle. On the mantle, I also put a little decorative piece that I got from Homegoods. 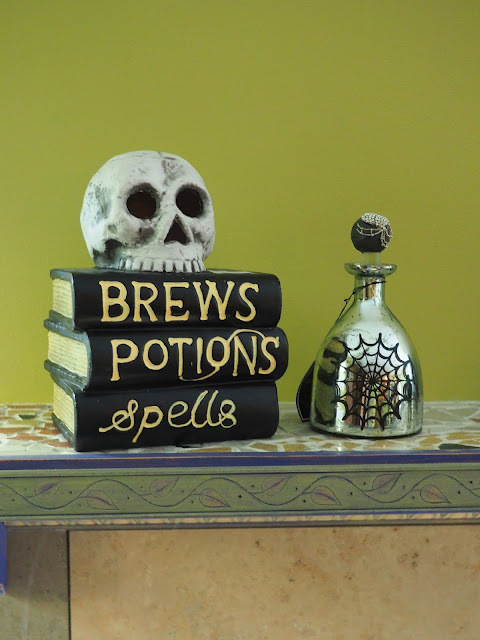 It's essentially just for show, but it's a hollow sculpture of fake books with a skull on top, labeled "brews", "potions", and "spells". It even has a little light on the inside, so when you turn it on, the eyes of the skull lights up. 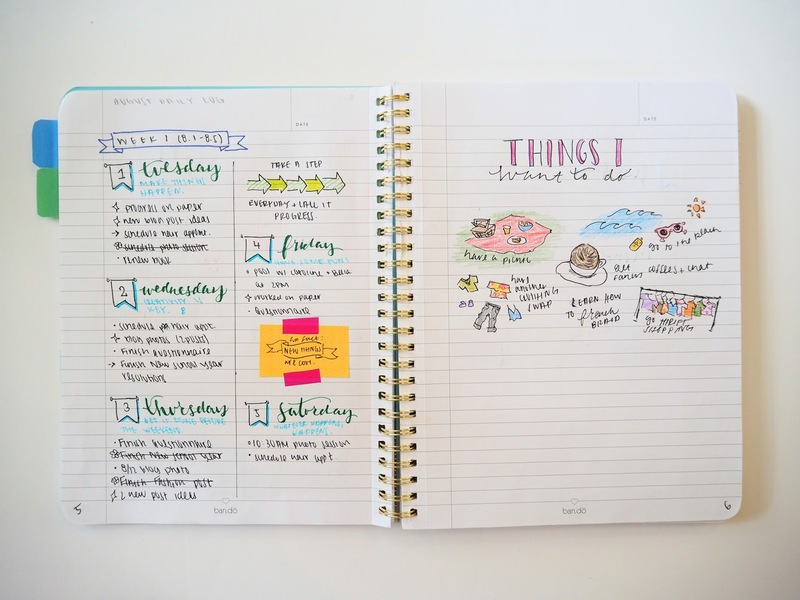 I thought that this was super cute and festive. To go along and match with this decorative piece, I also picked up this bottle from Homegoods that's a fake potion bottle, with a little spider web and a jeweled spider on top. 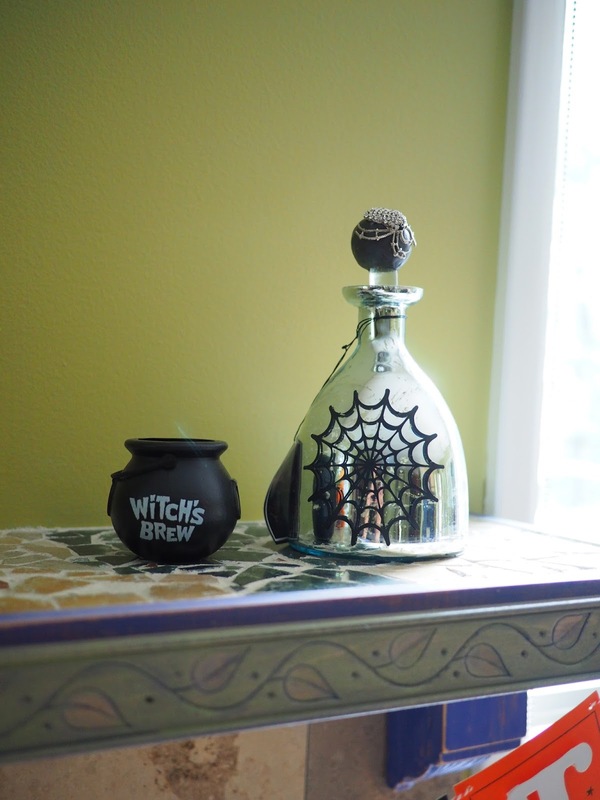 That served as the potions part, and I also have a little cauldron that's labeled, "witch's brew" which completes the spooky theme. 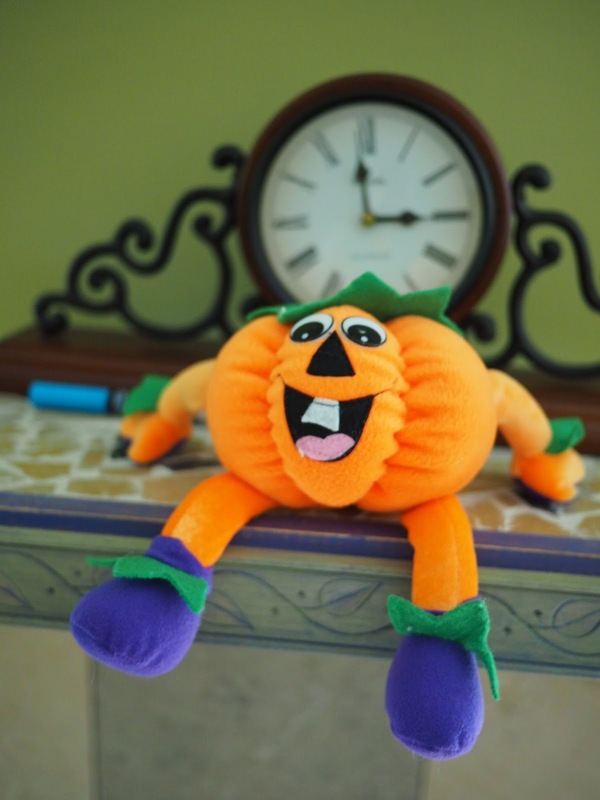 I also have this cute little pumpkin stuffed toy that mentions different phrases when you drop it. It's such a cute little toy and goes along with the pumpkin patch theme. I'm not quite sure where I got it, I've had it since I was little, and I've always loved it, since I have a soft spot for stuffed animals and this pumpkin toy is no exception. Although these don't necessarily count as decorations, I still included these, since they're Halloween themed and super cute. I bought this tablecloth from Target with little monster eyes that was only $5! It's not even that cheap plastic, it's nicer, thicker, and better quality. 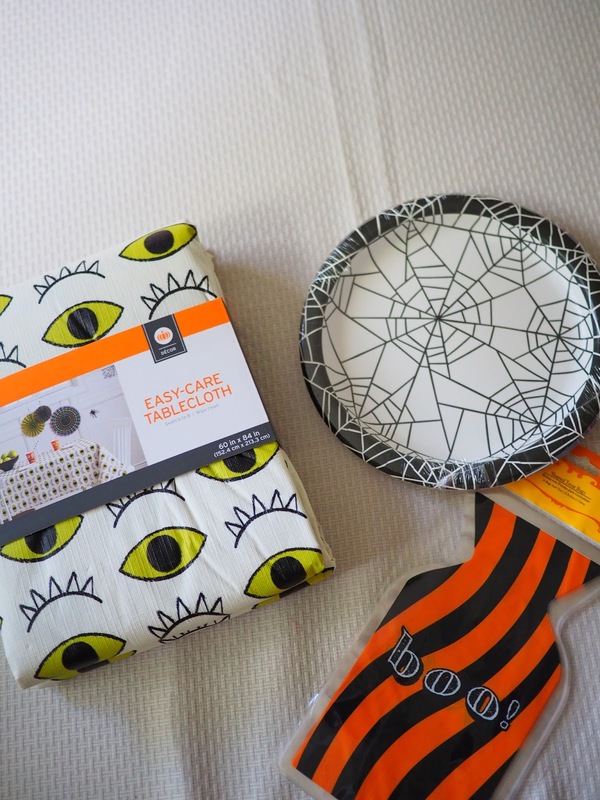 Plus, it's really adorable and Target has lots of different designs, spiderwebs, pumpkins, and more. In addition, I got these spiderweb paper plates to get festive with the food. Since at my Halloween party we'll be making some food, these treat bags that say "Boo" are not only adorable, but also versatile, considering that it'll be great for carrying little baked goods. 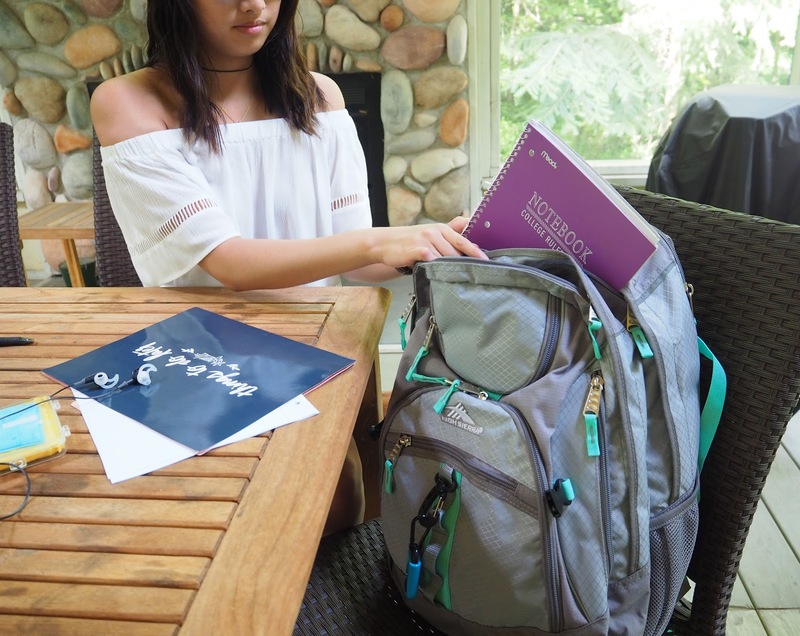 The Halloween spirit isn't just something to decorate for, but it's something you can take with you, like these treat bags. I'm also not sure where I got these from, most likely the Dollar Store, but I bet you that Target has some similar as well. On the mantle I also incorporated some fall decorative pieces that I already had. I've had them for such a long time that I'm not sure that I remember where I got them from. On both sides I put similar decorative pieces with the same fall theme. 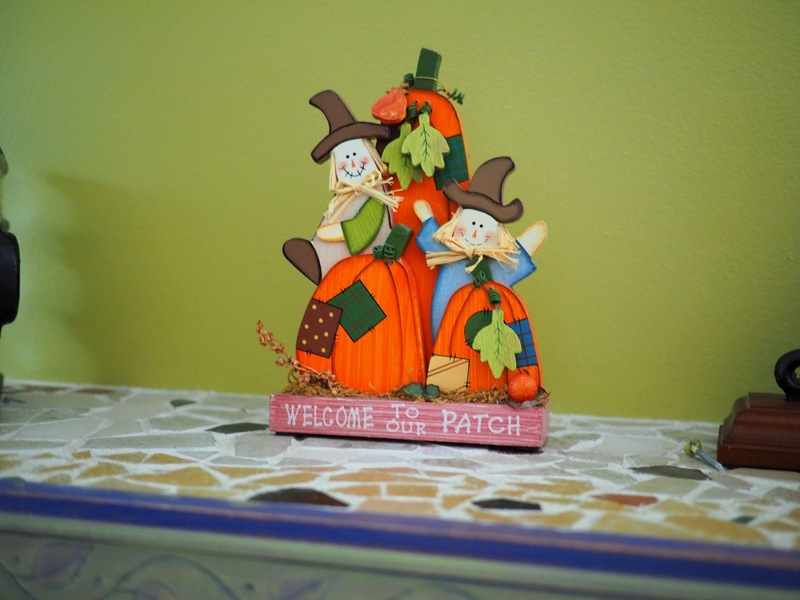 One with little scarecrows sitting in a pumpkin patch, labeled "Welcome to Our Patch" that I think is super cute. The same little scarecrow design is also in the pumpkin patch, but the scarecrow is being held up on a spring, labeled, "It's harvest time". 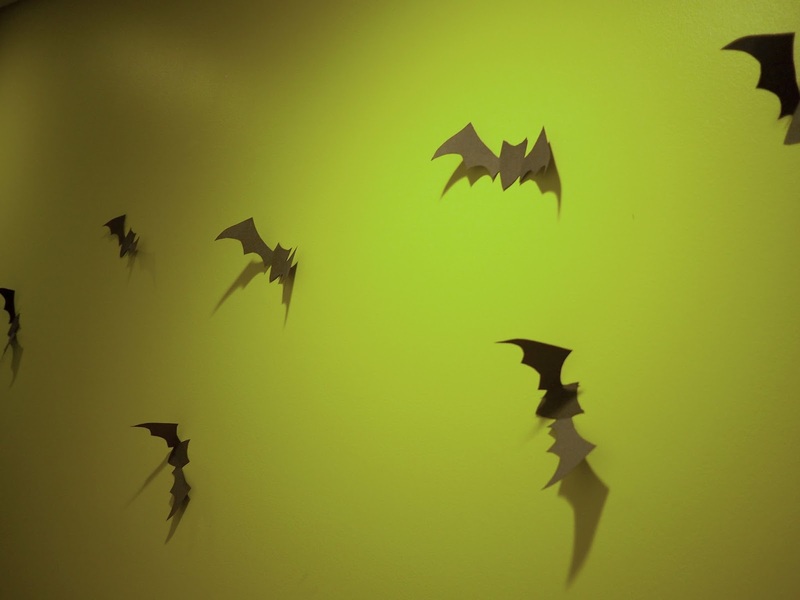 Lastly, I went DIY with these bat decorations. Since I already spent quite a bit of money on the other Halloween decorations, I wanted to decorate a bit more without spending money. I scrolled on Pinterest until I found an easy and do-able DIY until I stumbled upon these bat decorations. All I needed was black construction paper and some scissors. I sketched out a bat design that I copied off of the internet and then cut it out and used it as a stencil to make more. 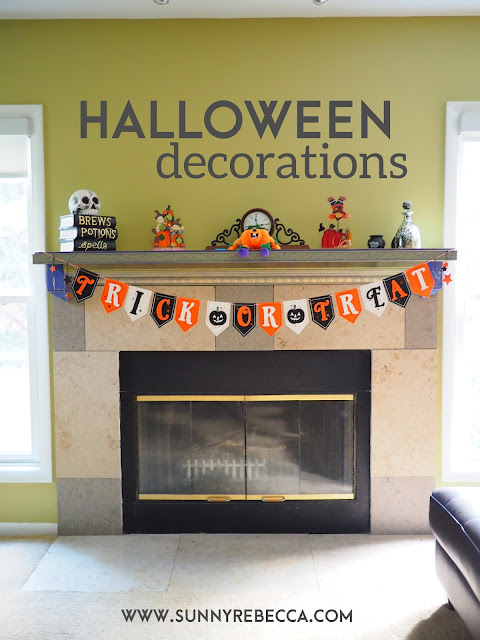 You can decide how you want to use them to decorate, you can hang them from the ceiling with string or you can do what I did, stick them on the wall. 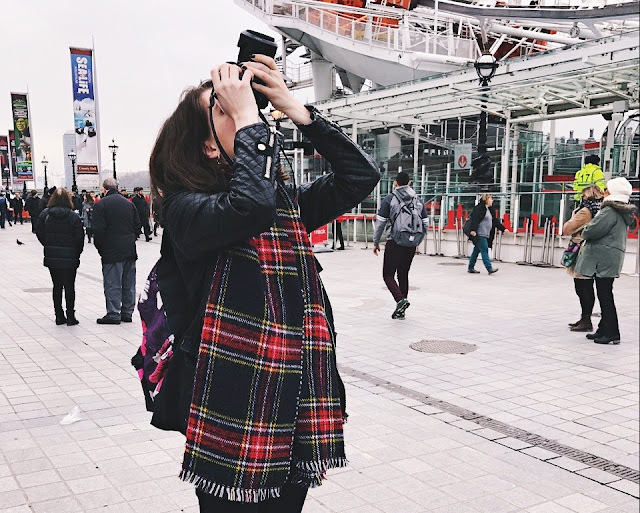 I scattered them around and had them all facing the same way, as if they were flying together. I started them low and then moved them up, like they're flying up together. 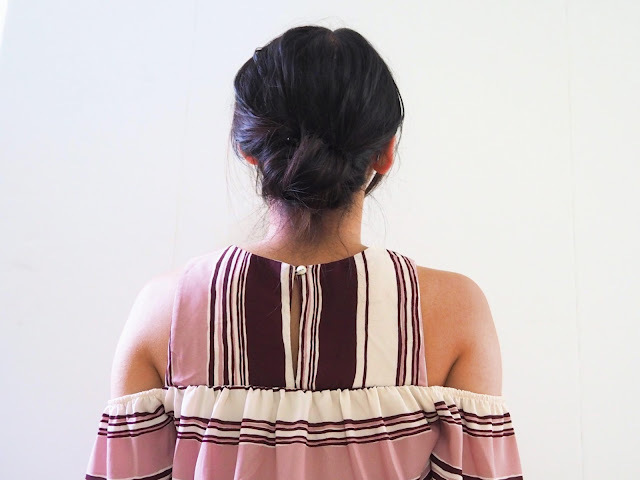 This takes practically no time to throw together and adds some extra decor to the overall look. I made these bats while watching Netflix, so really I was winning both ways.